First, I'm not going to divulge my plans for taking over the world through blogging. That's not the sort of strategy I'm referring to today. I wanted to share my secrets on staying sane amidst a busy life, yet committing to a blogging schedule and how to actually meet that schedule so that none of your posts are ever late. Though taking over the world does sound more fun. When I first started blogging I didn't own a laptop. In fact I'd never used a computer of any sort. I used my cell phone. I was still new to the having-a-cell-phone-thing, being barely sixteen. To be honest I shouldn't have even started blogging. I didn't know what I was doing at all. But... when I first had my cell phone I was kinda crazy. I'd text all my friends these group messages with pictures or memes and my thoughts about those. Several times one of my friends suggested I start a blog. I started this blog. With a cell phone. I even wrote several posts on how to blog with a cell phone. Of course after awhile I realized that most memes were kinda illegal to post on blogs ;p But I still loved blogging so much I never texted my friends those group messages any more. I finally became serious about blogging when I decided to post every Wednesday. This was about two years ago. I must say that was one of the best and hardest decisions I've made for my blog. Best, because my blog finally started growing. Hardest, because I actually had to think of a post every single week. I found out just how short weeks can be those first few months ;) Often, at first, I'd stress each week, writing the post just before midnight, Tuesday nights. I knew I needed a strategy. Something to let my schedule stay alive, and keep me from hating blogging. But first. One thing that helped this all soooo much was buying a laptop! It's so much easier to do the blog posts. I don't have to format HTML anymore. Or upload pictures through links. Or so many other inconveniences. So... how do I keep to a blogging schedule, live life, love blogging, and breath all at once??? Whenever I have an idea I create a draft. I make a lot of drafts, with titles and random thoughts. I have over 15 drafts right now (at the time of this post being written). Whenever I have a bunch of free time I sit and write blog posts, then schedule them. I like to schedule my blog at least a month in advance, if not two. If I travel I schedule my blog at least two weeks past my return date. /Because/ traveling makes me tired ;) Right now I have 22 scheduled posts. I have an app on my cell phone that automatically posts my blog posts to twitter and my Facebook page. I only have to post on my Instagram and personal Facebook if I so wish. The only thing I have to worry about each Wednesday is checking my email to make sure I reply to comments. Which is the best thing about blogging, anyways, so no need to worry! 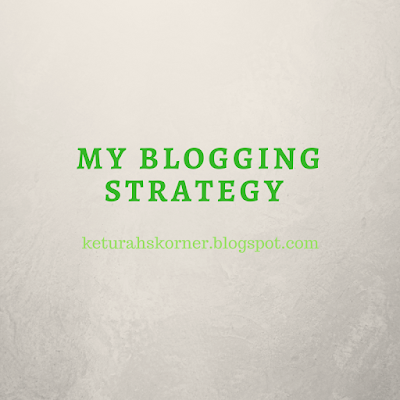 Do you keep you have a blogging schedule? If so what are you secrets to staying sane, and meeting your deadlines, and having enough ideas to write about? Added Note 4/ 25/ 2018: How do I schedule all my blog posts and stay in love with them? If I keep my blog scheduled two months ahead wouldn't I lose the "excitement" I originally felt when writing it, and not be able to interact with my readers as easily? Actually, no! I love looking over my schedule. "I wonder what blog post is due this week?" I check and always get super excited - "I can't wait to share this post!" As of yet, I've found that scheduling hasn't made me lose connection with this blog at all, only love it more as I'm never having to stress over "What shall I post?" I don't really have a blogging schedule (even the Taggy Tuesdays have been late lately...). Instead I do it rather spontaneously - especially when it comes to topics. I blog every Friday (except for this month, because I'm on hiatus for Camp purposes...XD) and try really hard to come up with interesting content. Sometimes I think I've failed, and sometimes I KNOW I've failed XD But ya know. A schedule really is great. That’s a great schedule :) Coming up with continual interesting content is the challenge;D Camp as in Camp NaNo? How’s that going? I try to post every Wednesday too! I need to start scheduling my posts. Wednesdays are amazing blogging days!! I don't even want to talk about how many drafts I have saved. It's driving me insane, because it doesn't quite work with the way my brain is wired, but I need to save these ideas and drafts /somewhere/ and that is the best I have. What apps do you use/what phone do you have? I've tried to blog from my little iPhone, but had a really hard time. Drafts are great for saving inspiration! Back when I blogged with my cell phone I had an Android. The iPhone I have now doesn’t really work well. I had an app called Docs that I used... I can’t get that app on my iPhone. Haha! I admit it has taken a lot of work and time to get to the point I'm at... at one time it was frantic madness ;p also... I do love being organized. That's just me.